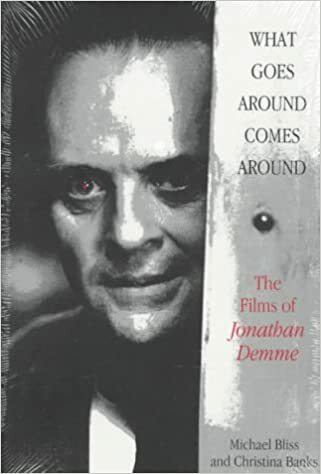 This first book on the director of The Silence of the Lambs and Philadelphia is comprehensive, analyzing each of Jonathan DemmeвЂ™s thirteen films. Demme received the 1980 New York Film Critics Award as Best Director for Melvin and Howard. Subsequent Demme films such as Something Wild and the Talking Heads concert film Stop Making Sense, which won the National Society of Film Critics Award for Best Documentary, made Demme a cult favorite in the league of Roger Corman. With 199lвЂ™s The Silence of the Lambs, Demme moved into a different league. The top-grossing film of the year, Silence won five Academy Awards, becoming the first film to sweep the Best Director, Actor, Actress, and Picture categories since 1975вЂ™s One Flew Over the CuckooвЂ™s Nest. Philadelphia also has been a top-grossing film, with Tom Hanks winning 1994вЂ™s Best Actor Oscar. Michael Bliss and Christina Banks include a wealth of biographical and critical data; an exclusive interview with Demme; the only on-set report on the filming of The Silence of the Lambs; an interview with Craig McKay, DemmeвЂ™s Emmy-winning film editor; a bibliography; and a Demme filmography. Many of the bookвЂ™s movie still illustrations have never been published.